one unfortunate thing about the weather changing from summer to fall is that all the spiders outside think it’s a good idea to move inside. and i don’t do well with bugs, especially the eight legged kind that leave cobwebs around. 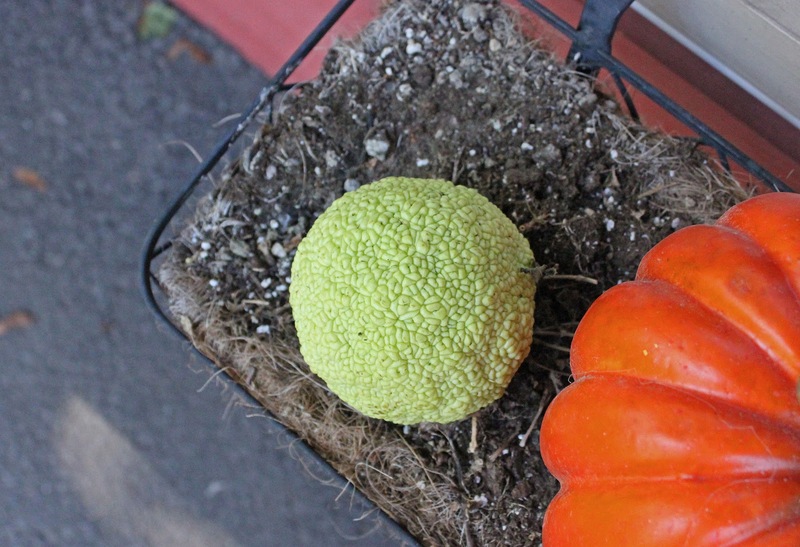 last year someone told me about this fruit, know as osage balls (aka – hedgeballs, hedge apples, monkey balls, osage orange, mock oranges, horse apples, brainfruit, and green brain), that you place around your house to naturally help keep spiders away. sign me up! last year my brother’s wife got me three of them that i placed in my basement and they worked like a charm! so this year i decide i needed more! so i did some searching and easily found them all over the internet. i ordered mine from ebay but you can find them on other sites too, like this one. you also may have noticed that not only are these balls effective in keeping spiders away, they are also quite attractive. so, i went a little overboard and bought like forty of them. but i found a home for all of them in and outside of my house. 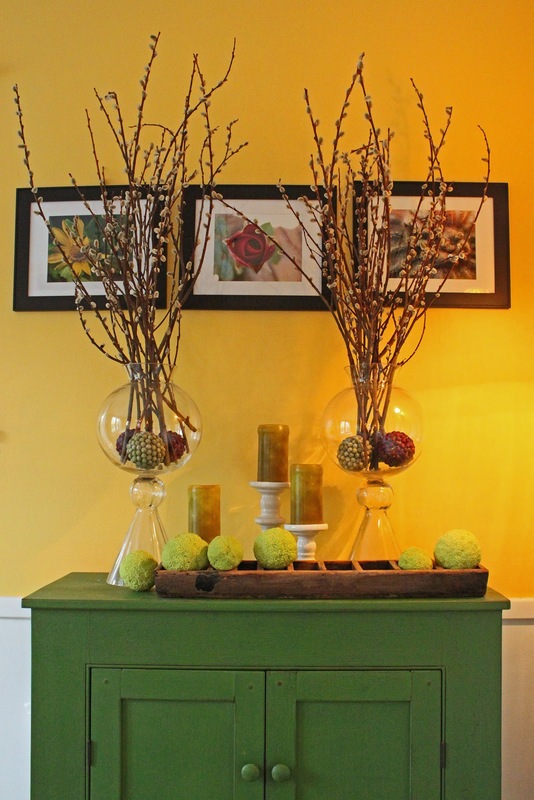 i love them mixed with pumpkins! and i’m slowly noticing less and less cobwebs. success! they eventually dry up and look less attractive and green as time progresses. but, at the point, winter has set in and there aren’t many spiders left anyway. so, i’m curious, have you heard of these? do you use them? do you have the trees that grow these in your area? 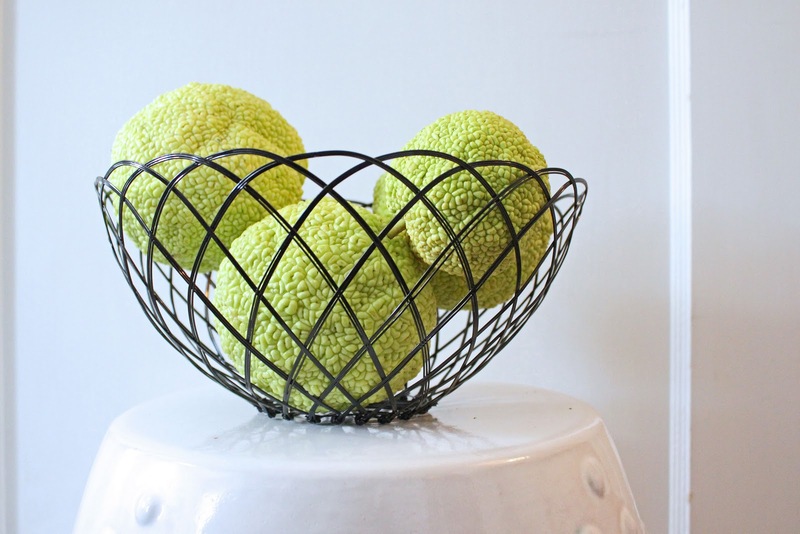 any other fun uses for these fruits? fill me in! I seriously need these. Like, yesterday. Thanks for the info. For some reason, the new house attracts spiders like crazy. I have never heard of these but they sound and look awesome! NOT a fan of spiders AT ALL!!!!! I HAVE heard of them and every year I forget to get some. I sooo need to get many since our house is in the woods and we have tons of woodwork and stonework that spiders loooove. Thx for the reminder! 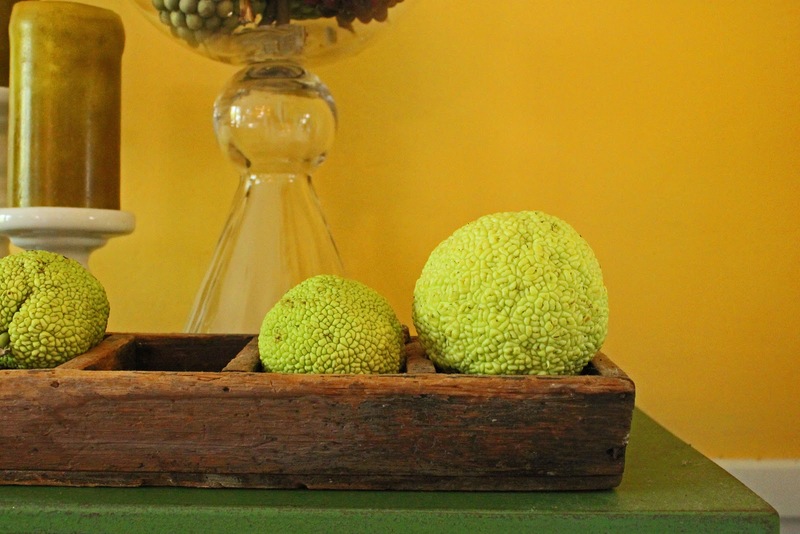 Around here we call them hedge apples…and there is a guy just down the highway that sells them EVERY fall. I’ve always wanted to stop and buy some just because they’re so pretty!! I think you’ve inspired me! Michael, they also keep ants away. They are a natural insect repellent. I line the back of my house foundation with them and it really works. I heard they were very poisonous. but when i get a house i will be covering my house with these. KILL ALLLL THE SPIDERS! We called them monkey balls when I was little. Unfortunately, they don’t grow where I live now, but they look beautiful in your displays. May have to find some next fall! I’ve heard they also keep roaches away. Love the shape and texture of these little guys. 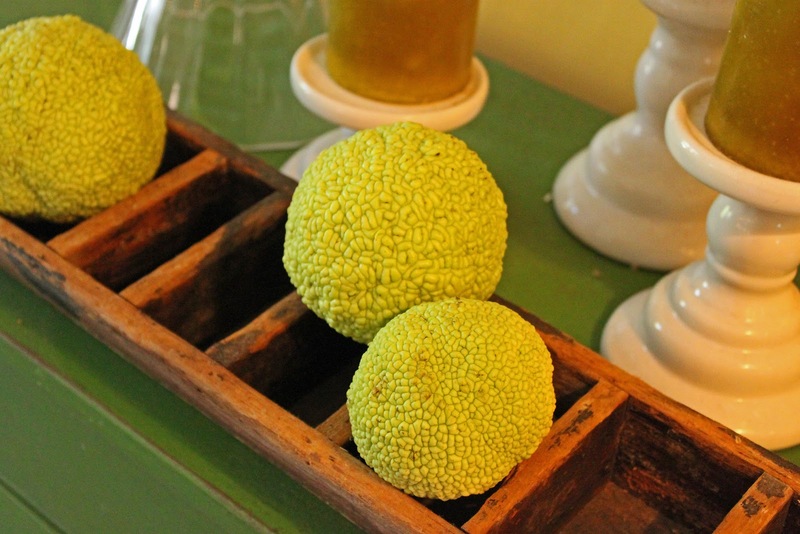 As a kid, we used to collect them and throw them at each other on the family farm. I have to laugh that anyone can make money selling these! We have them everywhere here in Kansas! We collect them on walks and the kids throw them in the “creek”. You never know if they will sink or float. Otherwise, no one I know wants them in their yard. 🙂 I guess though I’ll put a couple in my basement as we do have lots of spiders and centipedes!! What kind of tree has these fruits on them ? ?